Arranged with Keyboard Accompaniment. Composed by Brant Adams. Christmas, General, Thanksgiving, Sacred. Performance/accompaniment CD. Exaltation Publications #30/2239L. Published by Exaltation Publications (LO.30-2239L). Brant Adams is perhaps the premier orchestrator for church music publishers today. 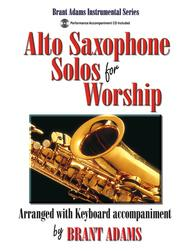 This new volume for alto saxophone continues the Brant Adams Instrumental Series, and includes a Performance/Accompaniment CD. These arrangements reflect his solid understanding of the individual instruments, creative arranging abilities, and a keen awareness of the local church setting shaped by his many years as a practicing church musician. book is. In fact, practicing these arrangements has helped me rediscover the joy of practicing altogether, as I've been in a dry spell the past few years. Praise the Lord for Brant Adams, and for all the musicians seeking to use their talent for worship. I highly recommend you give this collection a try. cut out some of the runs, and change some of the parts because these are VERY challenging pieces. I do think they'd be much easier if you had your own pianist to play because he/she could play a little slower for you. But if you can make it through the arrangements, you will get lots of complements because these are so well put together. what you got " My strong word of caution though, would be to carefully consider these 2 questions : 1.What is the style that appeals to you ? & 2. Who is your target audience ? Often many dollars are wasted on material that, while good,fail to pass this test. 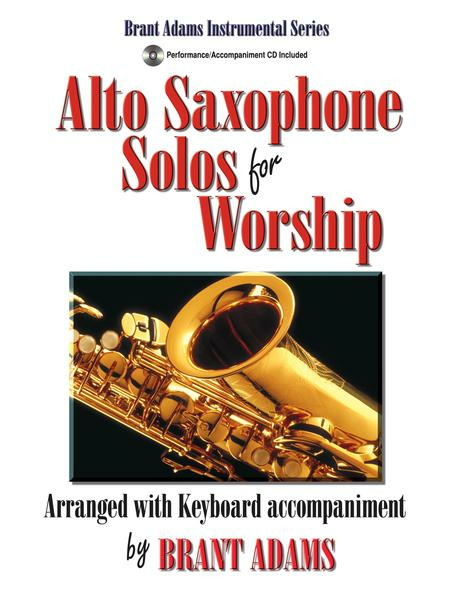 In my opinion, these compositions will work well in more conservative formats but will probably have more limited appeal among the Hosannah, Maranatha, or contemporary Jazz,Rock,R&B, or fussion-type crowds. If your taste or target lands you in this conservative group, or ( as in my case )you wish to have an assortment of material that enables you to reach any crowd,this is certainly worth a look. This is one of the best solo/play along books I've found yet - lots of fun and challenge in great arrangements. I really like it. 25 of 47 people found this review helpful. I like Brant Adams' arrangements! While rich with descripive chord progressions, the capability of the amateur part-time church musician is kept in mind. The keyboard and CD accompaniment both are important for rehearsal and performance. Simple well known church melodies with lush accompaniment! 28 of 52 people found this review helpful.